Buzz Apollo moved out from his parents home to prove a point. That he could live off the music. Gary Phelim Buzz Apollo Genesuis Farrelly is a 17-year-old boy from Ireland. Six months ago he finished school. 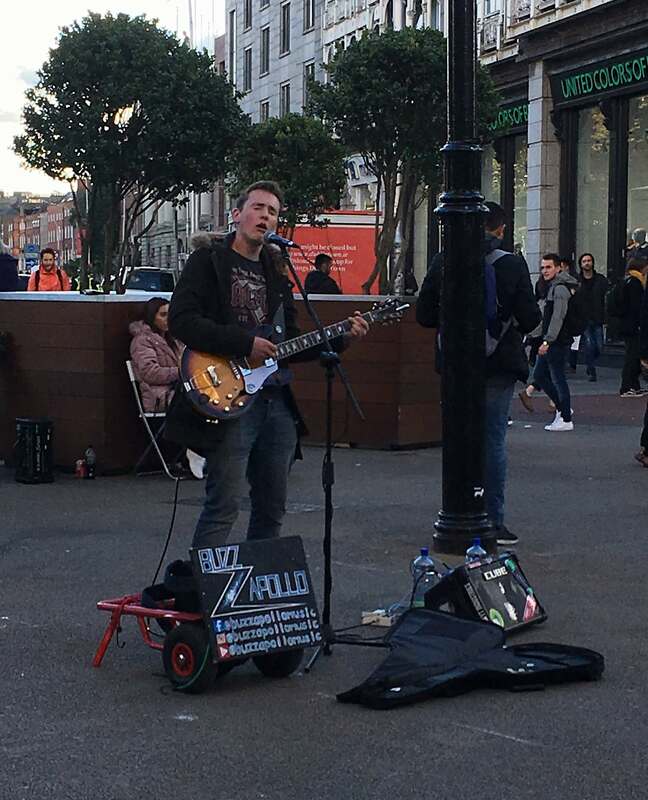 Now, he and his guitar is performing all over Dublin for full time. Even though Dublin is his home arena, he wants to try out Galway and the United Kingdom as well. But he aims bigger as well. His dream is to play and perform in a sold-out Madison Square Garden. 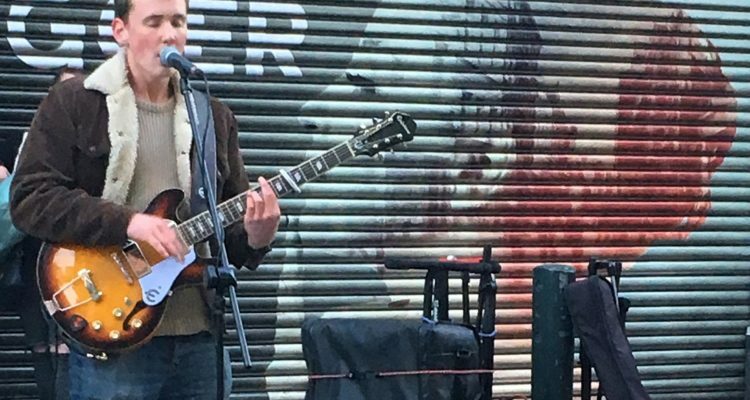 After a year busking around, he has started first now to expand his genres. During his career he has mostly played modern music, something people most likely have heard before, and can sing along to. The covers are mainly from Ed Sheeran and James Bay. For the time being, he is more into rap and Eminem. “I also play ‘Hit Me Baby One More Time’, people always seem to like that”, he giggles. Even though he does a lot of covers, he also plays some original songs, as well as playing his own. «Too Much» has over 300 views on his YouTube channel. He has almost written 30 songs, some finished and some unfinished. 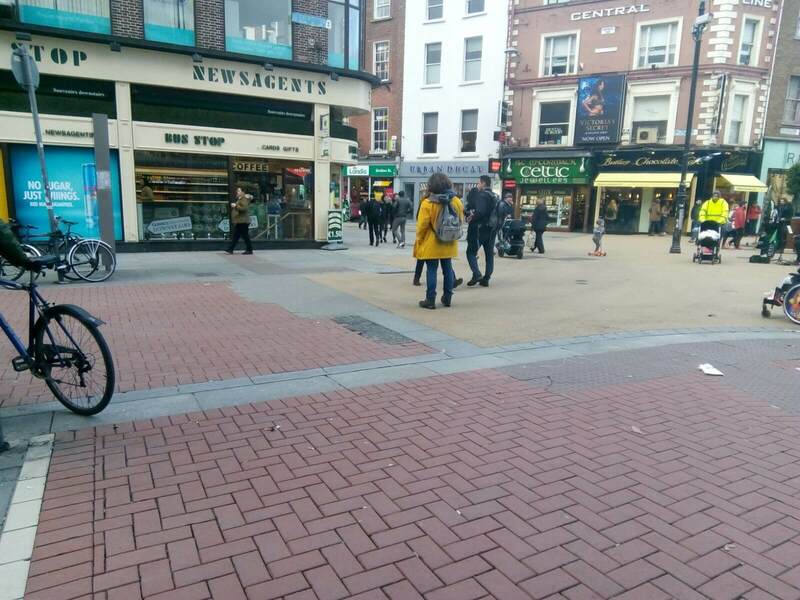 Buzz Apollo Music making a crowd in Grafton Street. Also, he has some busking friends from Argentina and Indonesia.